For the past 18 months, I have been working little by little to transform our house into our home. If you have been following along, you know that I tend to shy away from conventional styles, colors, and methods. I got to a place some years ago where I became pretty comfortable and confident in my style. Rather than caring much about what people thought, I started to design around things that inspired and spoke to me. 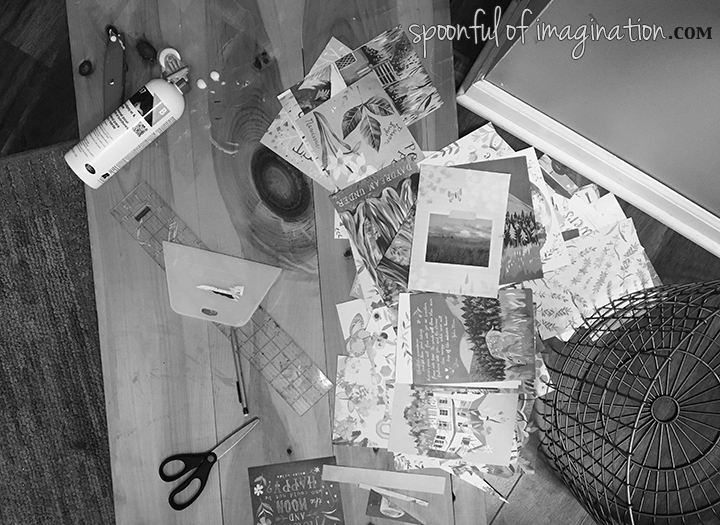 I think this little nook is the perfect snapshot of my process. It shows all the crazy thoughts in my head and how it comes to life in my design. 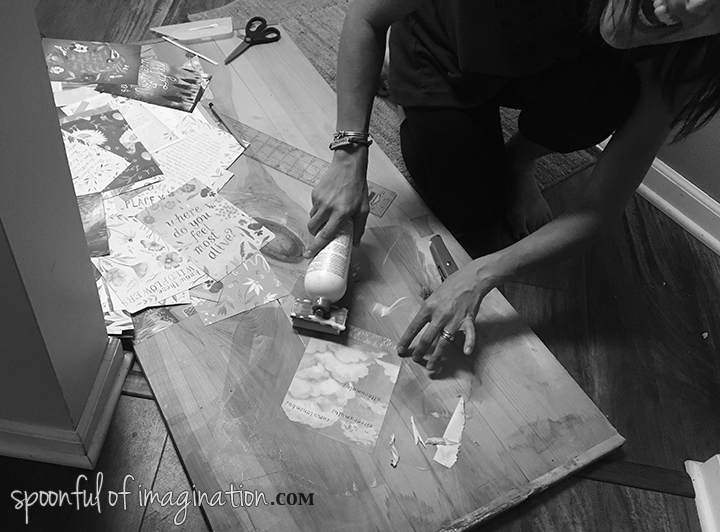 I had images that were a constant source of inspiration in one hand and a nook connected to a high traffic area that needed some life in the other. In this post, I share how I combined the two and ended up creating my own wallpaper in the process. 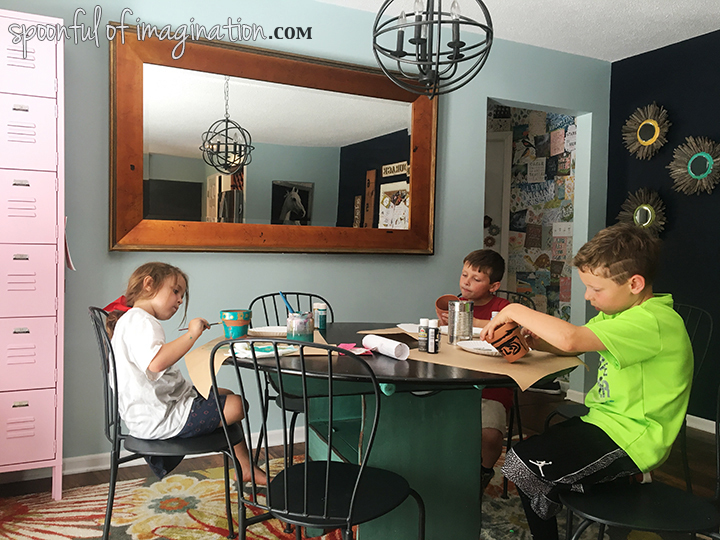 It was fun, easy, and something I know you could do in your own home! It started with this little nook. For a while, I had samples of wrapping paper taped to sections of the nook. 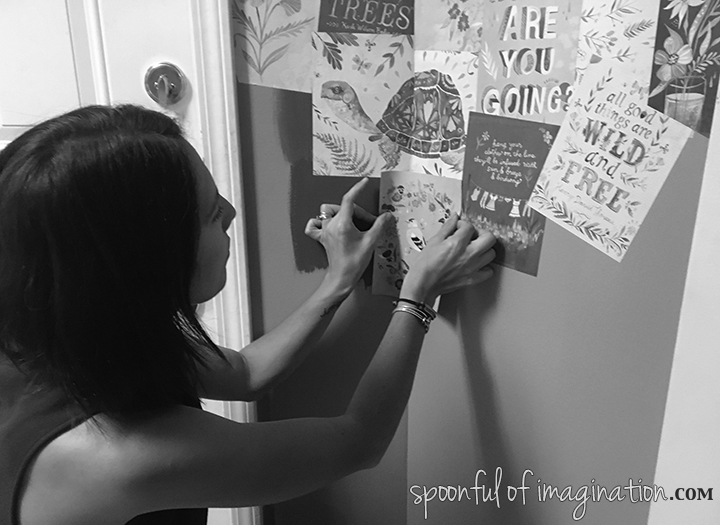 I pondered how I could bring the design of the paper to life on the walls. Ultimately, this lead me to taking that inspiration to another bedroom where I painted a floral wall inspired by the wrapping paper. Since I put that look somewhere else in our house, it left me once again trying to decide what to do with this nook. I wanted to accent it in some way. I tried several paint samples, but none of them looked right. One day I was drinking a tea and started flipping through a book I flip through often for inspiration. It sits on a side table to be a quick read. As I was thumbing through it for the 100th time, I had the thought, “I wish I could see all the pages at once. They are so beautiful.” Almost as quick as the thought came, it was followed by thinking of my accent wall I had been trying to figure out. 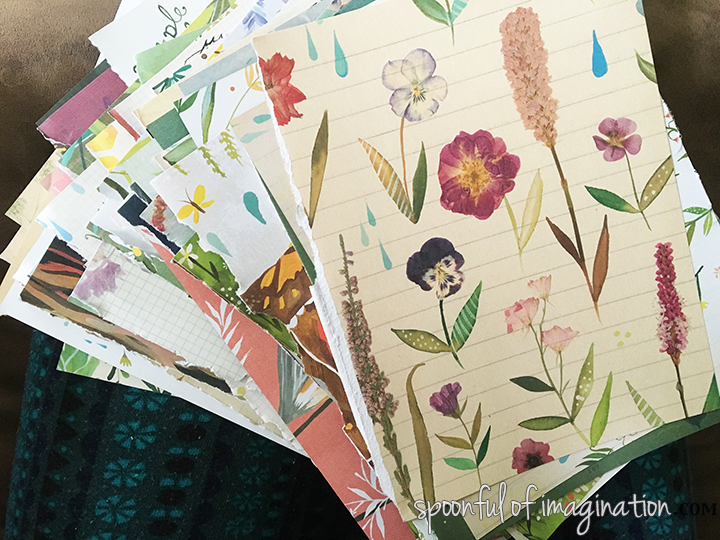 Could these book pages be collaged in a way to make wallpaper? I really didn’t give it any time or research before knowing I wanted to try my idea. I started ripping my beloved book up page by page. 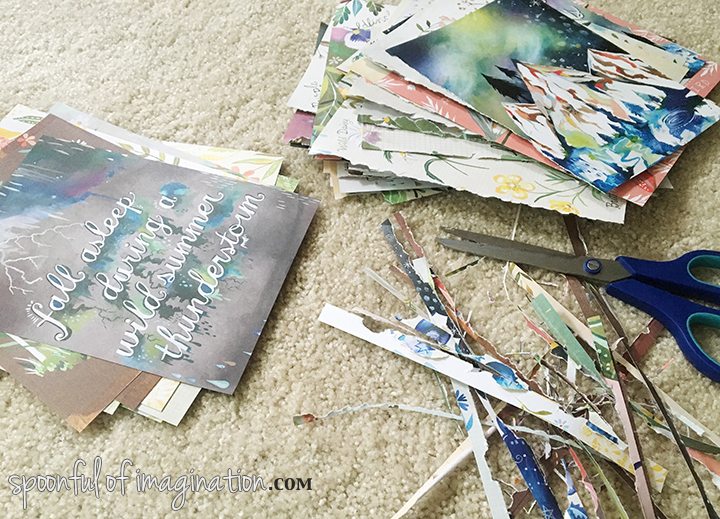 Once I had ripped out all the pages, I had a huge stack of beautiful paper. I used scissors and cut off all the frayed edges. I was then ready to figure out the wallpaper method. I taped a few pages up in different directions to figure out if I wanted a messy scattered look or if I wanted it to look more like organized rows. I decided I liked the messy look. I went to Lowes and asked where the wall paper paste was located. To my surprise, there was a roller of wallpaper paste made for doing wallpaper boarders. It was the perfect size for my project! 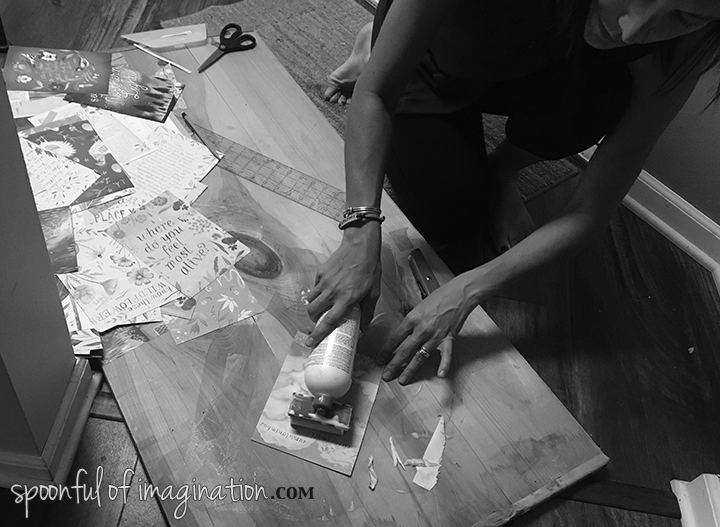 It was a small bottle with a roller to easily apply the paste to my book pages. I gathered a few other supplies. The most important was the wallpaper smoothing tool. It’s similar to a putty knife or a joint knife used in drywall work. It’s critical to flatten your paper and push out the air bubble. 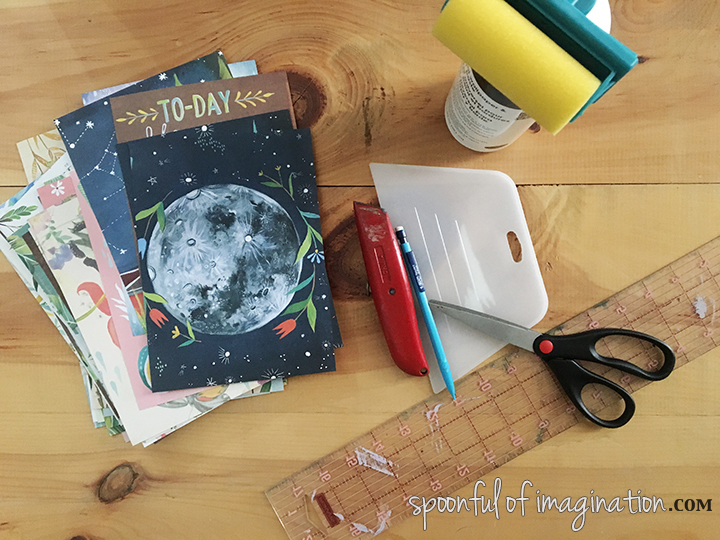 You will also need something to cut your pages as you work around light switches or to reach the borders of your wall. You might want to try an x-acto knife or box cutter to trim the pages. I found it easiest to hold my piece of paper in place, draw a line where it might need to be trimmed against the door trim/ceiling/wall corner/etc, to use scissors to cut the paper, and then start the applying method. Most of the pieces didn’t need to be trimmed. 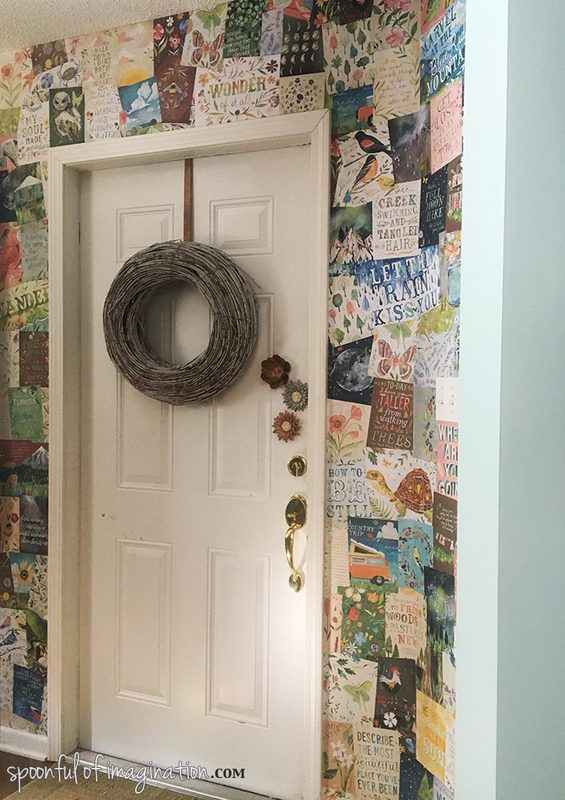 I simply picked a page and decided which side of it I liked best, and rolled my wallpaper paste onto the side that would be up against the wall. I rotated the piece of paper different little angles so it didn’t look perfect and pressed it onto the wall. I then used the smoothing tool and pressed all the wrinkles and air bubbles out. The book printed its images on both sides of the pages. Sometimes it was really hard to decide which side to display and which side to glue to the wall. Fortunately, one book was not enough to cover my wall. I ordered a second book and got to use some of the sides that I didn’t get to use before. I tried to space colors out on the wall, I didn’t want a bunch of blueish pages, for instance, to all end up together. Spreading them all apart gave a more balanced look. I placed some of my favorite quotes in more prominent eye level spaces. Smaller text and images I placed more towards the ceiling or floor. I tried to place a full-page pictures in the midst of some quotes, so it didn’t end up that all the pictures were bunched up together and all the quote pages bunched up together. 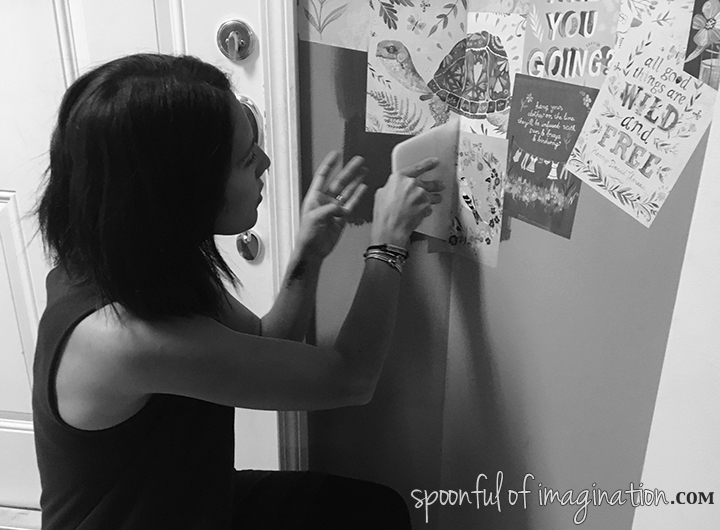 I stood back often to take a look at the wall to see what needed to happen next. This helped place smaller print scaled pages throughout the wall to help other pages pop out more. I was careful in my placement to make sure that the coverage was solid and none of the wall was left poking out through any small cracks or gaps. It was really messy. I used a huge old sign and placed it on the floor as my mobile work space, and it had gluey wallpaper paste all over it. I probably could have sorted my pages out to have a stack of images vs. a stack of quotes, etc, but I didn’t. The creative in me decided to just go for it. Some of you organized folks will probably have a much more calculated way to go about it, which is great! For me, I viewed it as a puzzle and kept filling it in until it was all filled up to the sides and from the ceiling to the floor. 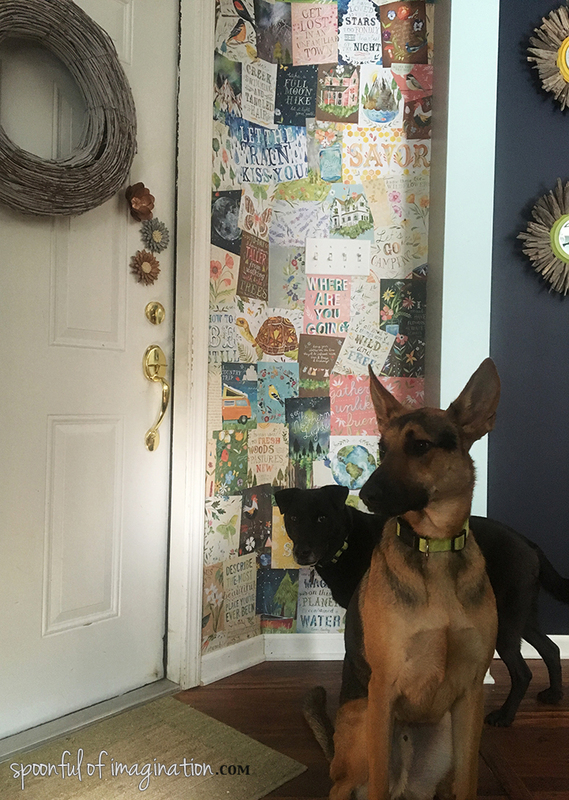 After I had a solid collage, I rolled my wallpaper paste over the whole wall as a layer of protection from dirty fingers and hairy dogs. I love how it all came together! It’s so colorful and fun! 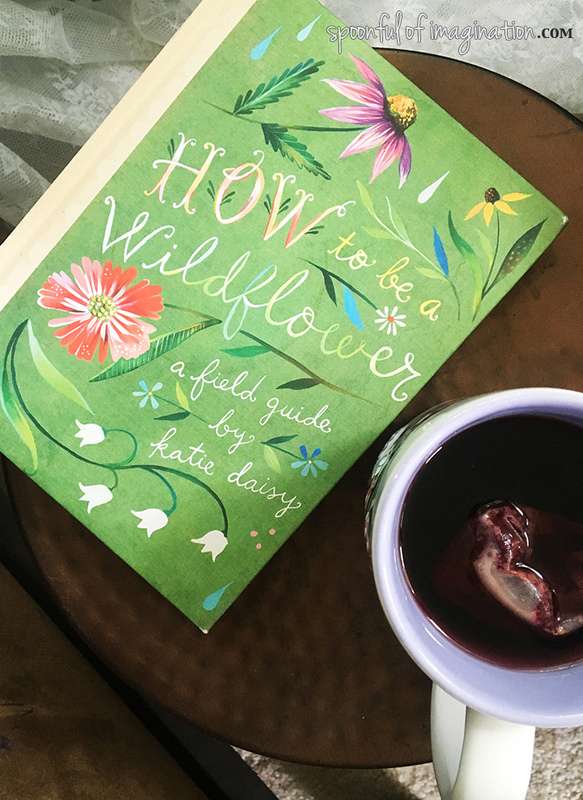 The book, How to be a Wildflower by Katie Daisy, costs $11.46 on Amazon. I ended up buying two books from there. 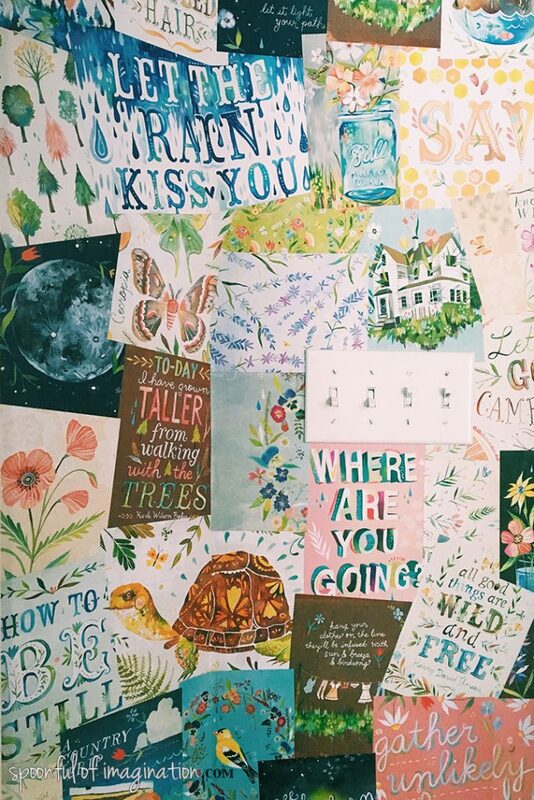 What an inexpensive way to buy wallpaper we love, to brighten up a small space! This door leads into our garage. It is the most used door in our house. We can see this little nook from our kitchen, which is part of why I wanted to brighten up the space! 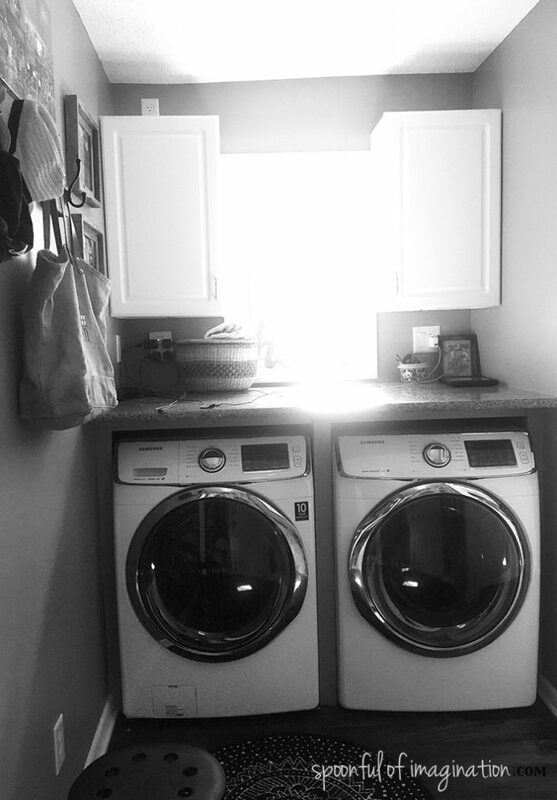 It is also our walk through laundry room into my craft room. This small nook is one high traffic space! 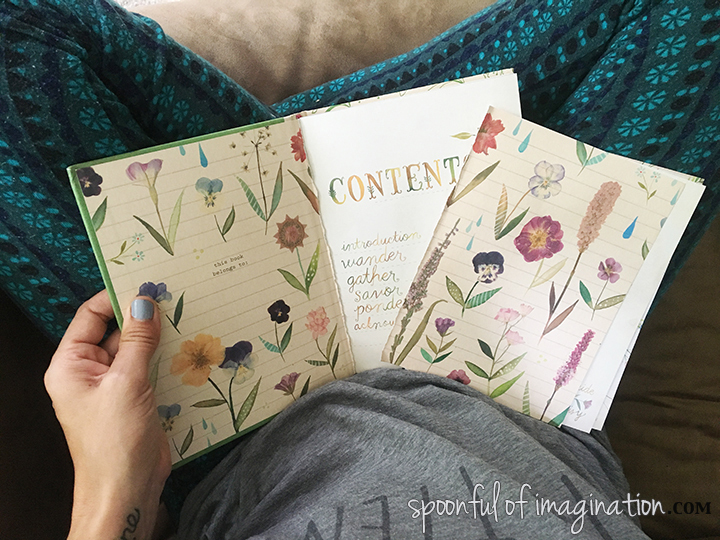 I love how these beautiful pages are perfect for inspiration and deep conversations. The other day I was sitting at the table with my kids, and I asked them what they thought one of the pages meant when it said, “gather unlikely friendships.” It has led into some of the most real, challenging, and beautiful conversations. Now, as I stand here and fold clothes, I can turn around and see so much beauty. If you don’t follow Katie Daisy on Instagram, you should. 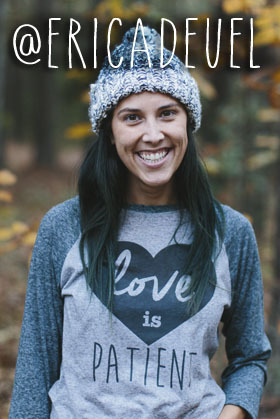 She is so talented and lives with her husband and sweet boy near Bend, Oregon. She originally painted each one of these images and then scanned them to create the book. Her feed is full of gorgeousness from her work and nature. 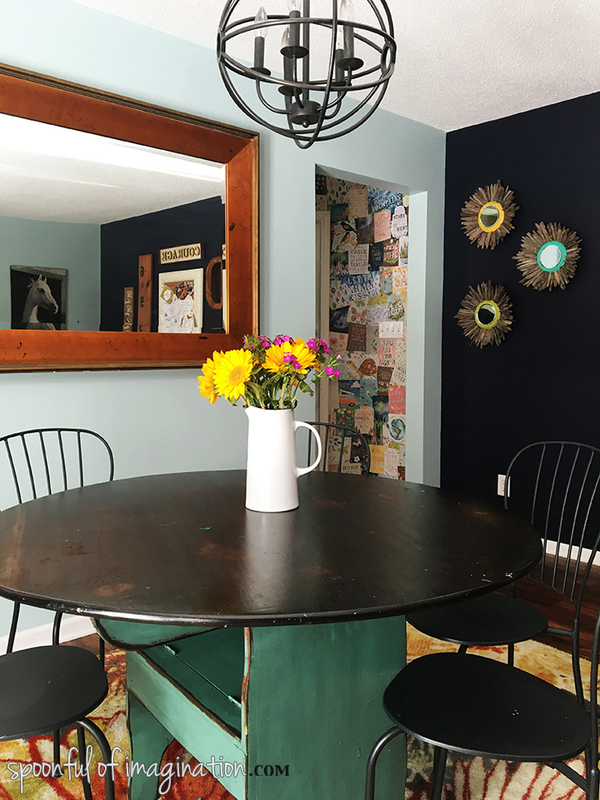 This little nook is a well used space in our home, and now as we come and go and just live…we can be inspired. It’s a small wall with a huge punch. Matt and I joke that the more we do to this house, the more that we make it “ours”, the more we might have a hard time reselling it someday. 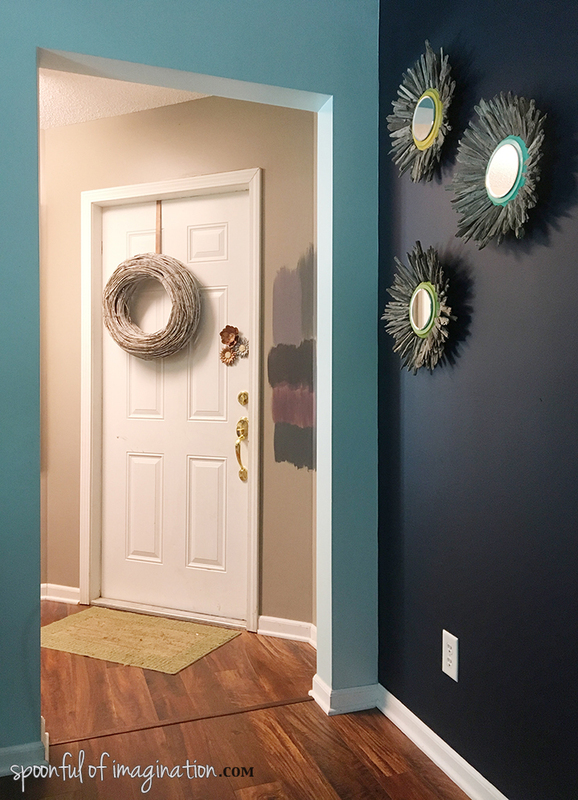 This house is full of color and personality…just like us! We love it! 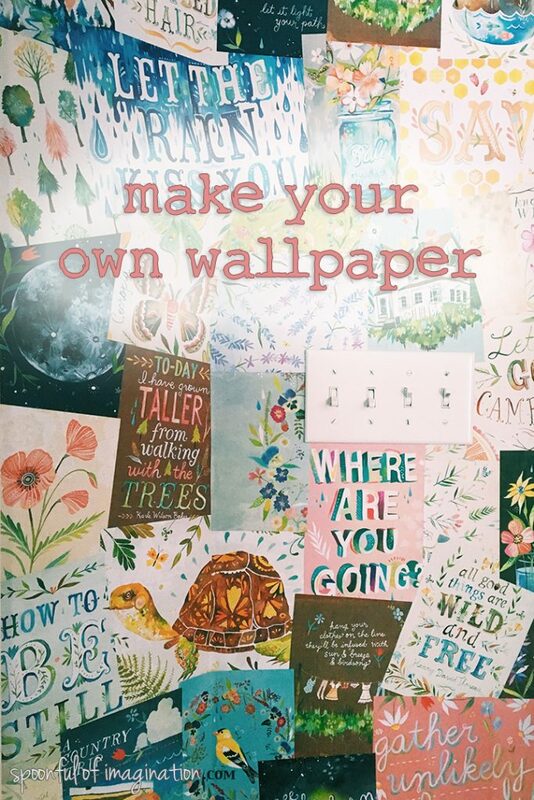 Thank you so much for checking out my homemade wallpaper post. I hope you have a great week and get to create something beauitful! 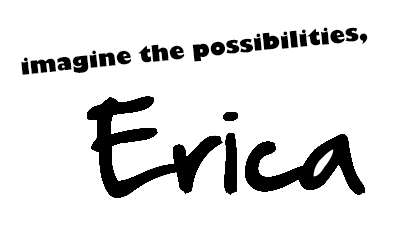 Erica!! His is so beautiful !! I absolutely love this idea and once we have our own home. This is def. a project I will be doing ! Thank you for sharing your beautiful ideas and home !! 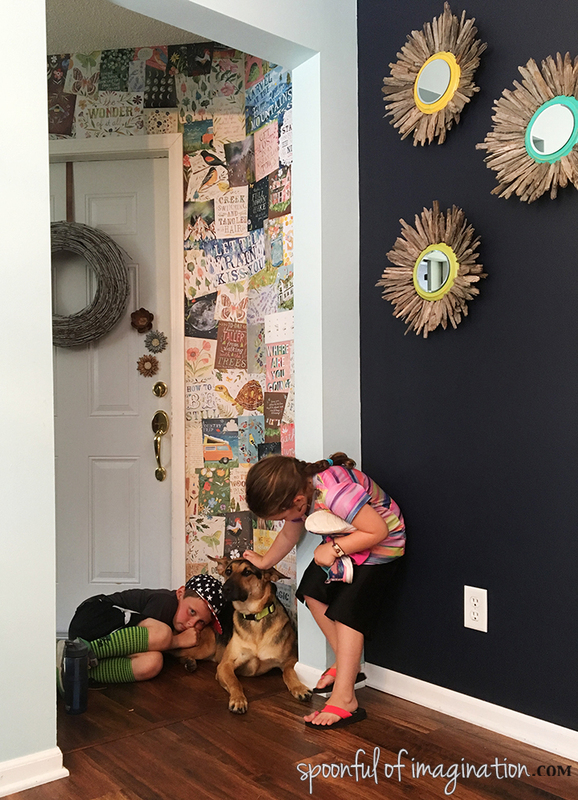 I don’t usually comment people’s blogs, but I just had to tell you how I absolutely love what you did with your wall. Very original and it’s what makes your home yours. I’ve been trying to come up with a good way to decorate my wall. I didn’t know that you could do something like this! I think it’s interesting how you can essentially make your own wallpaper. Thank you for sharing! Thanks for sharing all the details and how-to. Such a fun and beautiful way to decorate a space!! This is so lively and colorful! Love it! I did something similar in my small bathroom. Only I used the pages from old books that were yellowing and falling apart. My favorite pages came from an old book on penmanship. 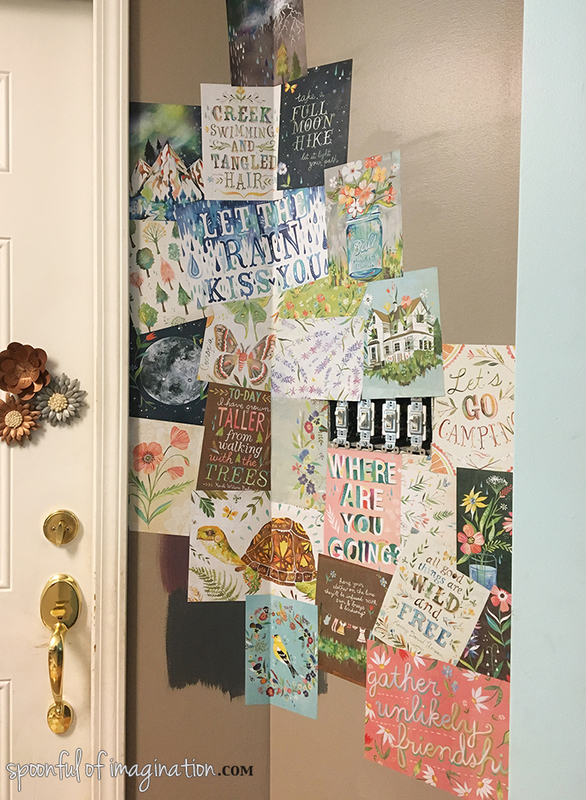 The difference on how I attached my pages to the wall is that I used my home made Mod Podge(which is simply watered down cheap white glue) I coated my pages with a liberal coat of Mod Podge to seal my new wallpaper. When(or if) I ever want to change it, all I have to do is spray water in it, wait a few minutes for the glue to loosen and then scrape down the walls. Much easier than using wallpaper paste. That is nice we are redoing our bathroom and that gave me the idea maybe to do that my husband wants a pinkish bathroom and it’s hard to find that color.